Here are some Christmas designs on nails to start off the season. 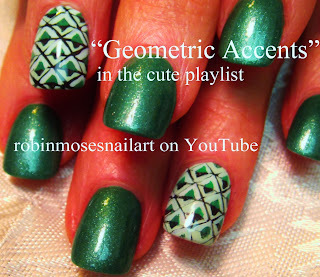 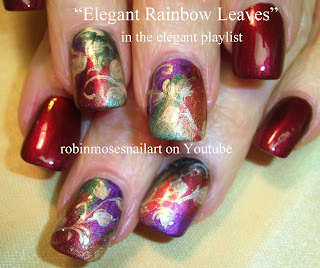 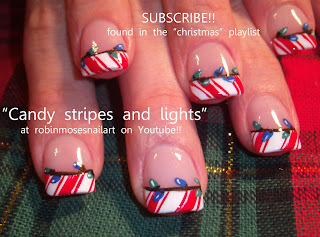 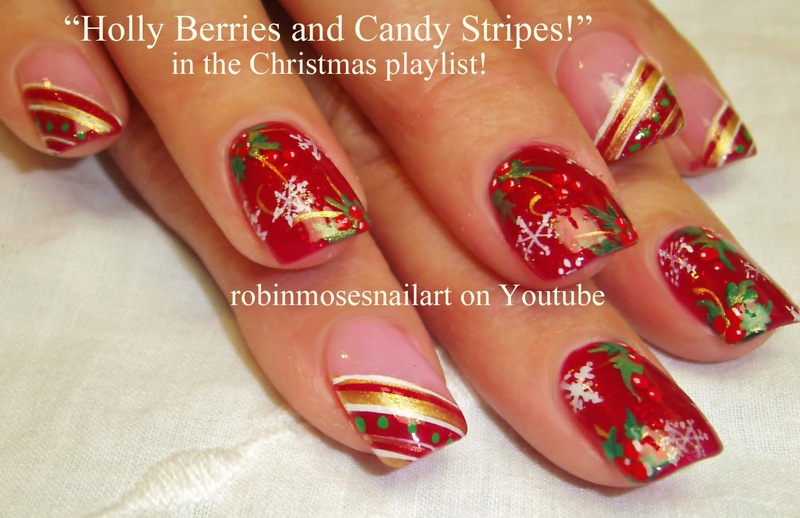 Here is a link to 114 christmas nail art tutorials for you to learn here: CHRISTMAS PLAYLIST! 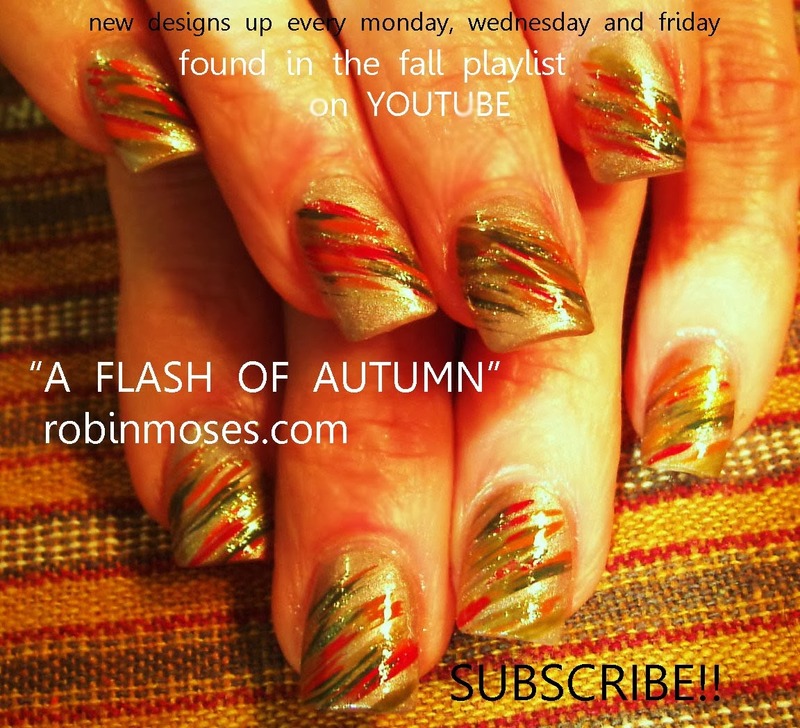 please spread the word, the videos and the art to all you know who want to learn a craft or might need direction or something to bring them joy. 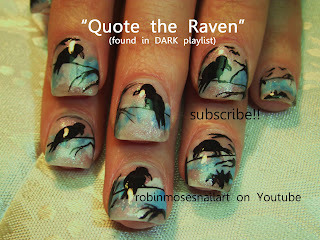 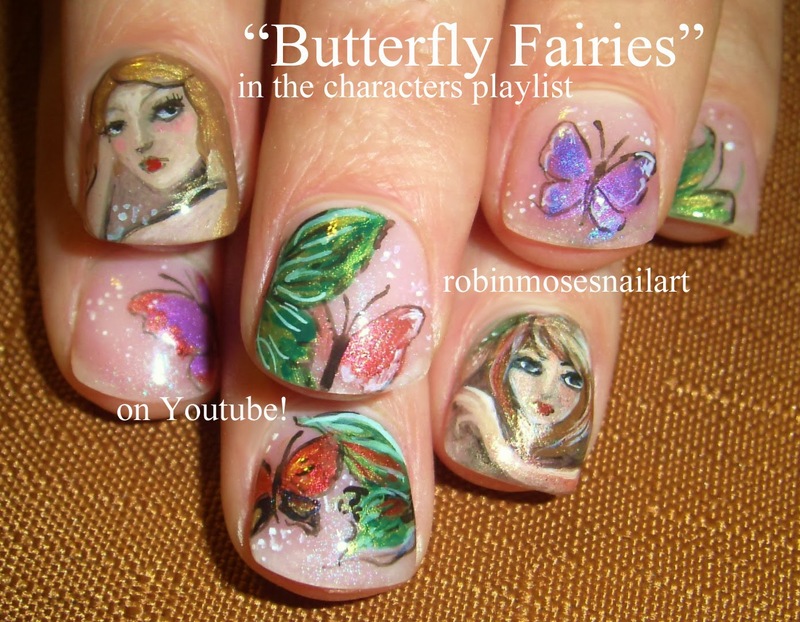 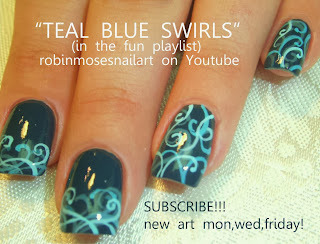 Please show me if you try the art at @robinmosesnailart on facebook! 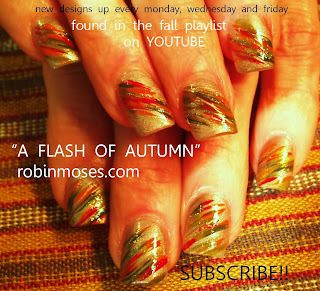 My love to everyone sharing the word! 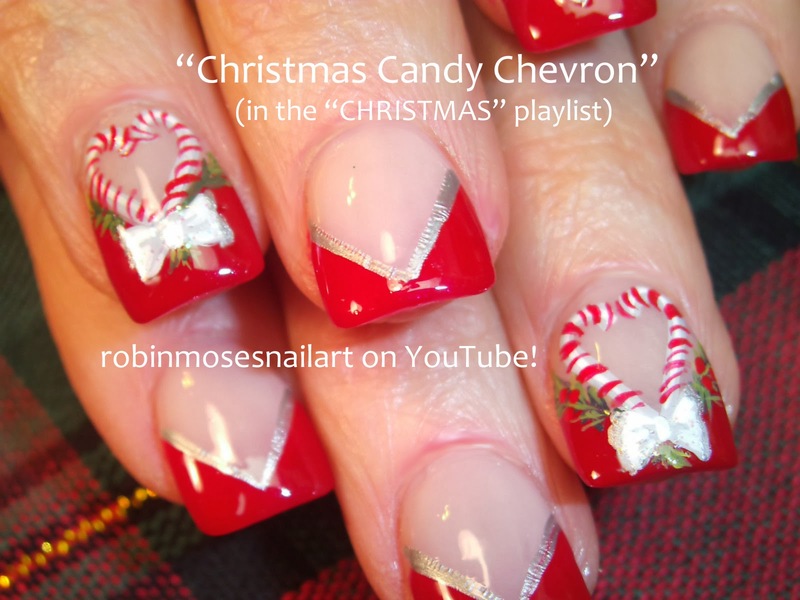 christmas candy cane nails all found in my christmas playlist! 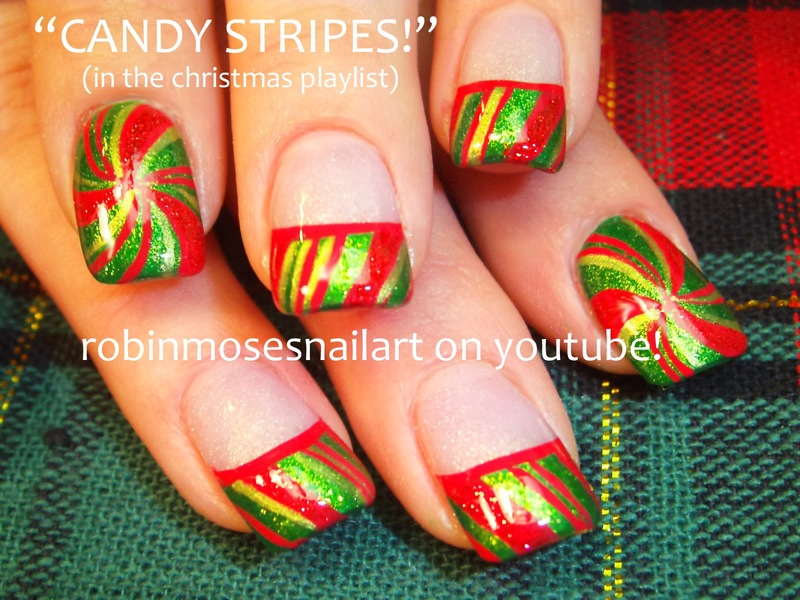 Candy Cane Christmas nail designs! 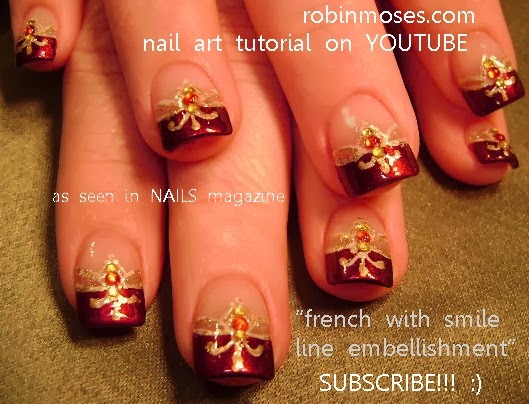 Cute Penguin Nail Art for Christmas! FIND TONS OF CHRISTMAS NAIL ART TUTORIALS HERE! 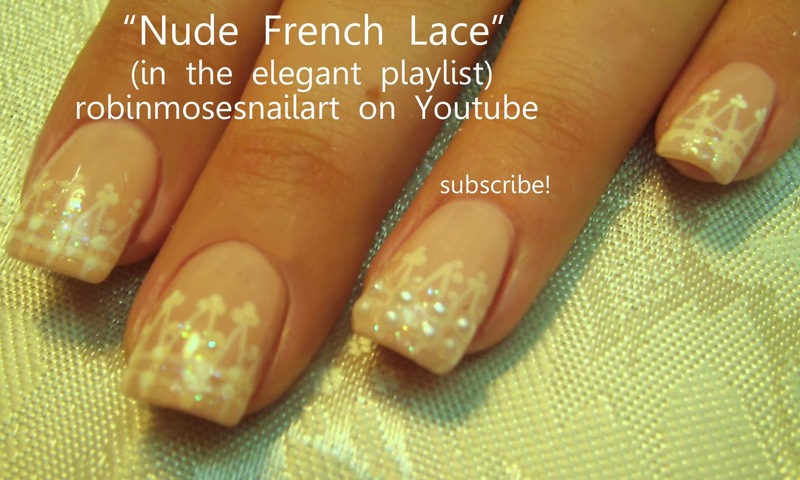 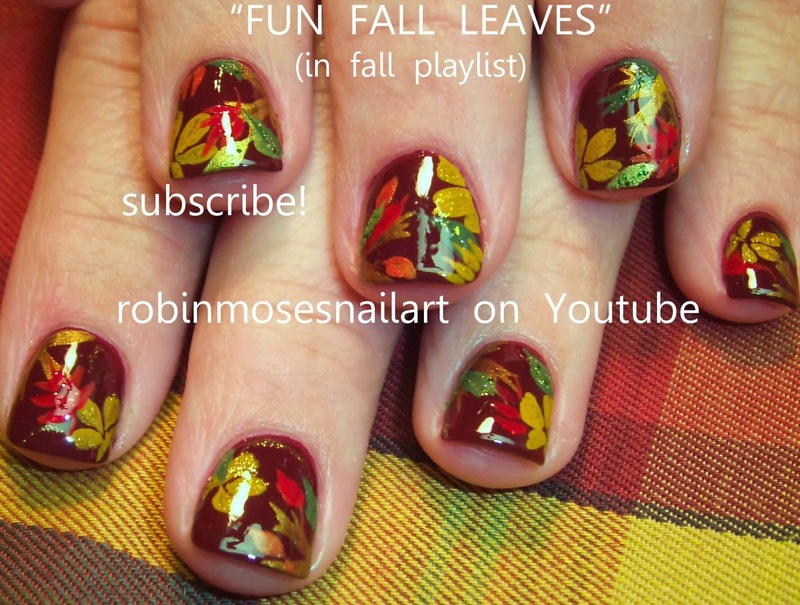 Fall playlist FULL of nail art ideas for the holiday season. 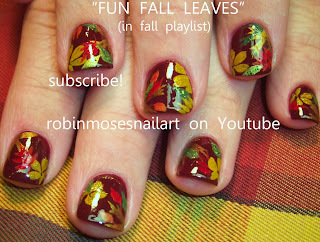 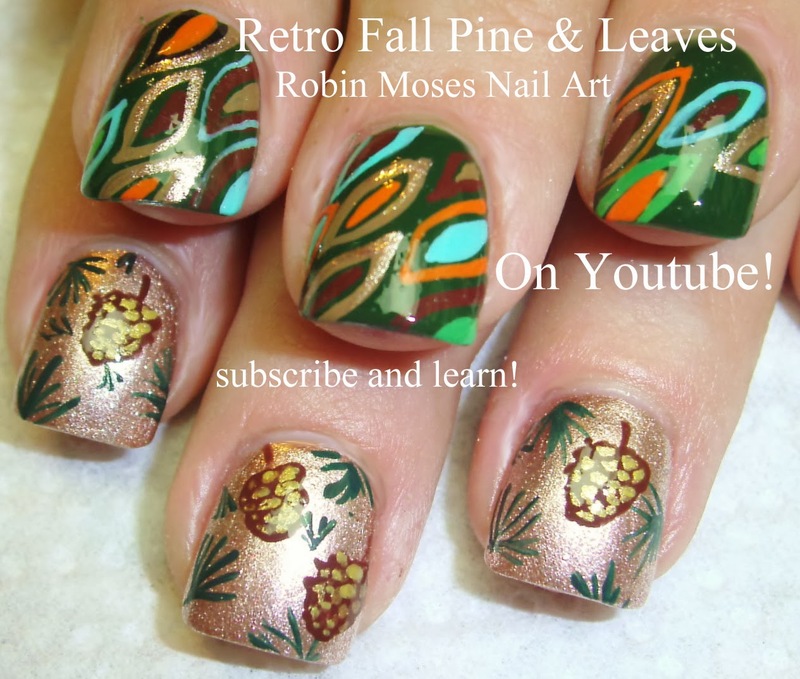 Thanksgiving Nail Art ideas, Parties and all things autumn! 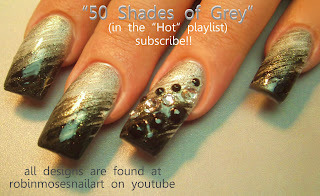 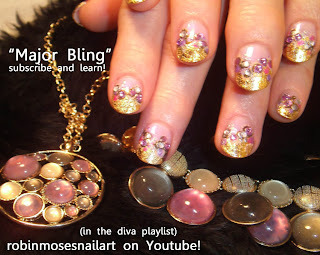 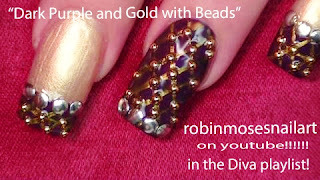 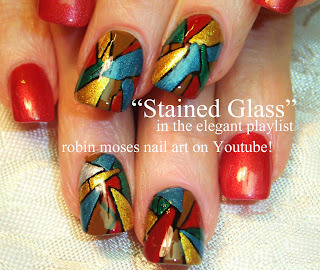 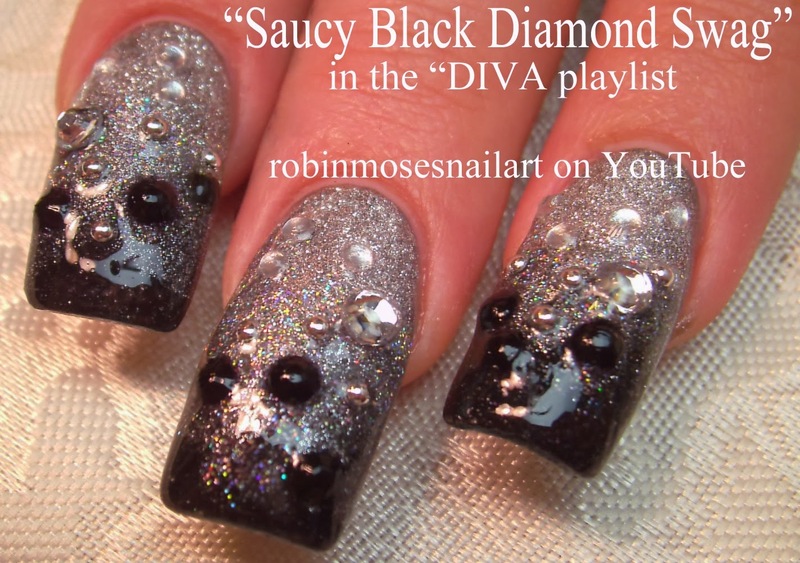 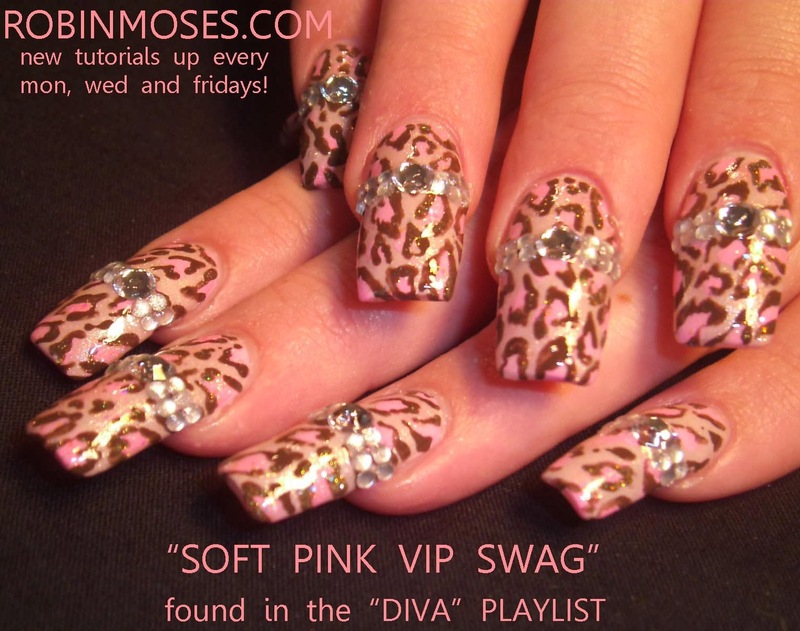 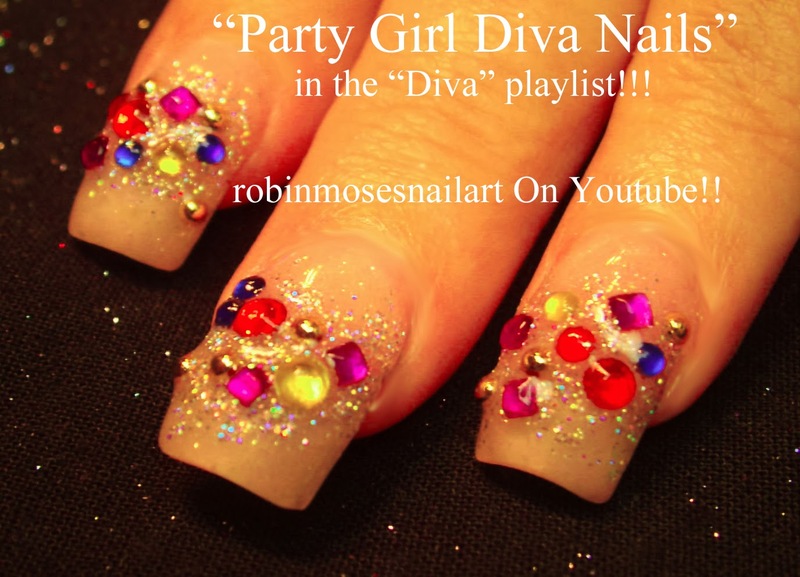 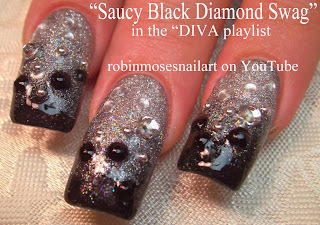 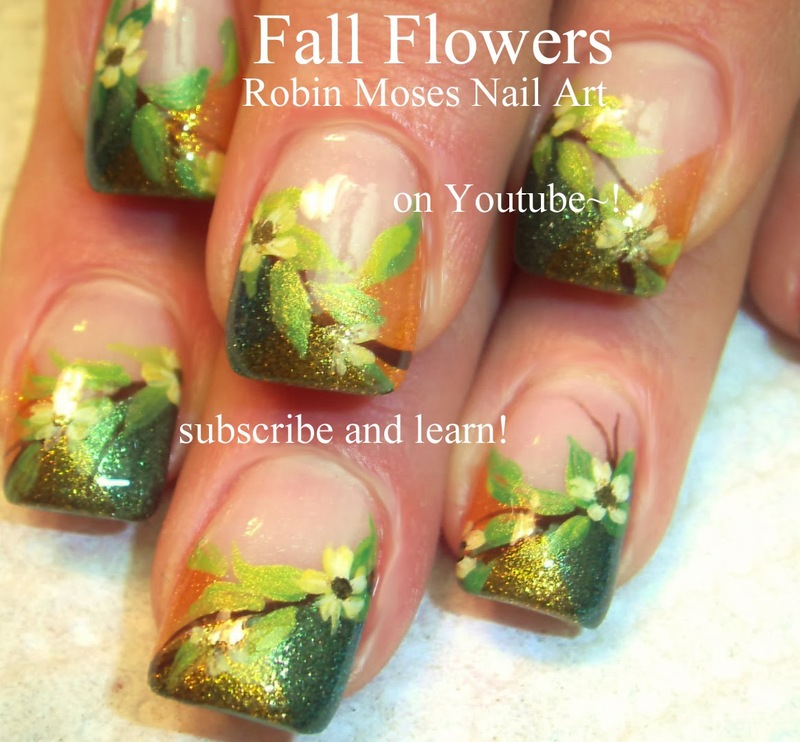 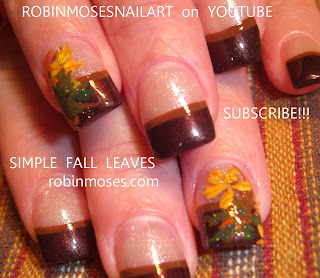 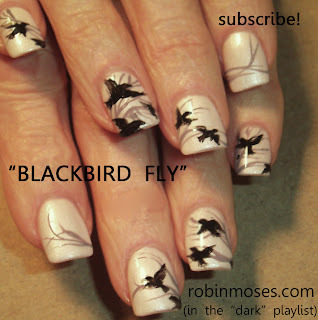 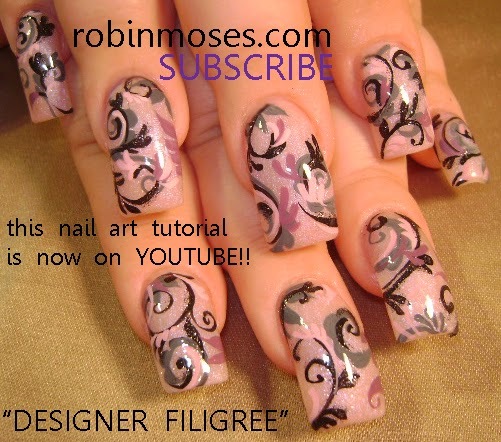 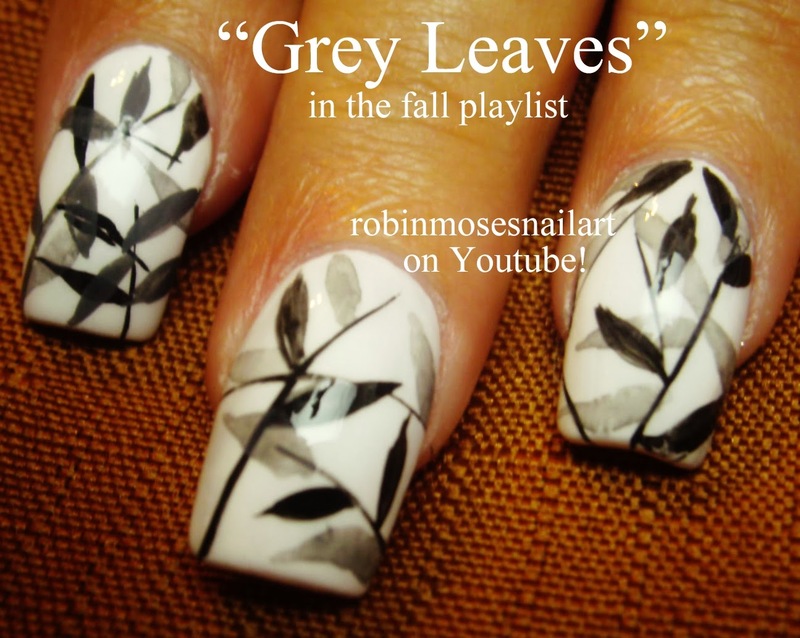 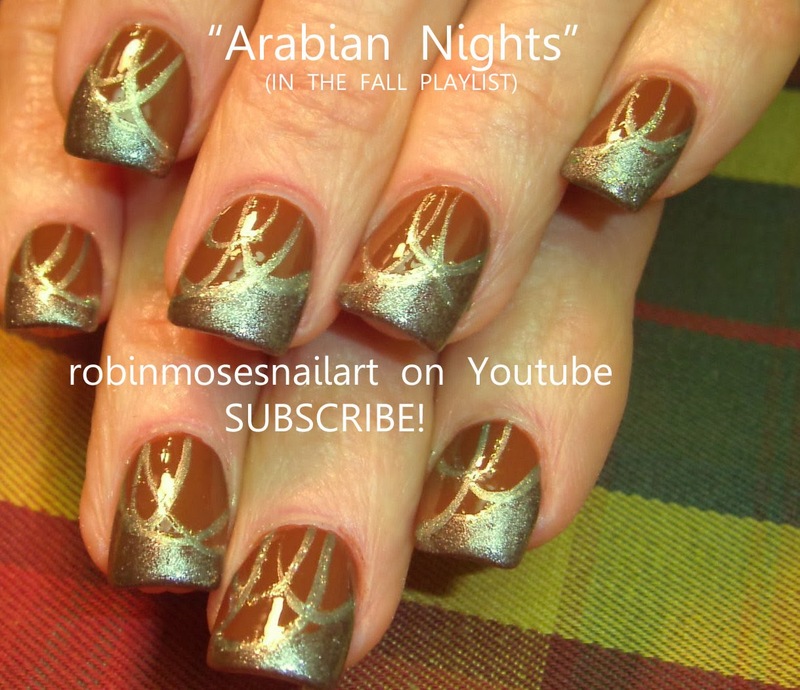 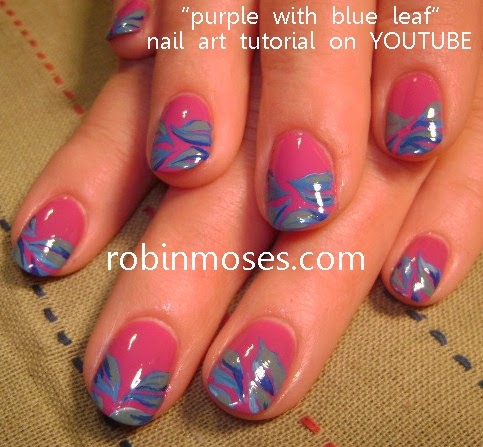 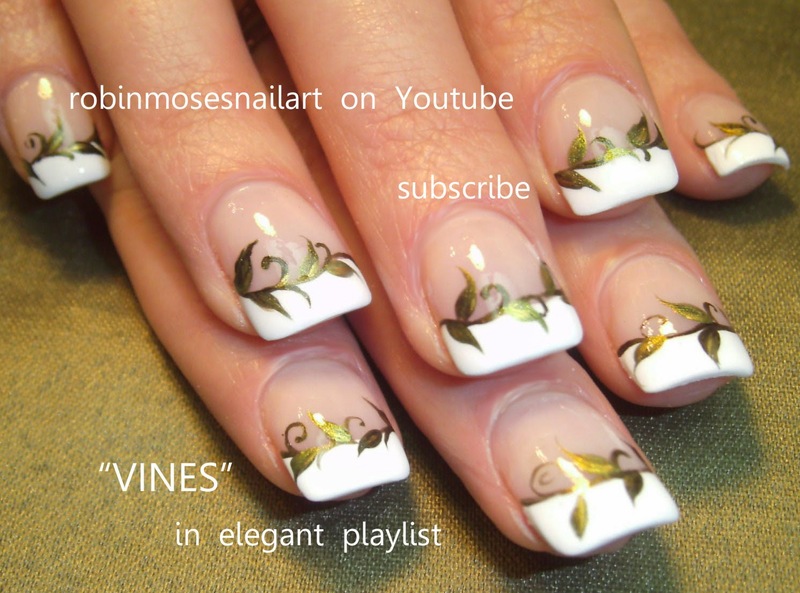 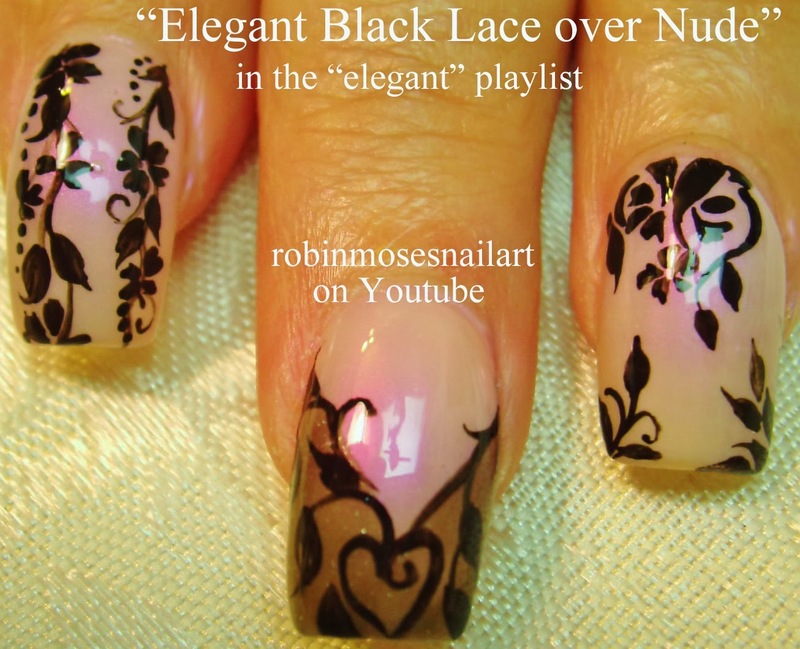 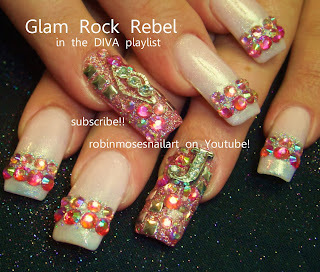 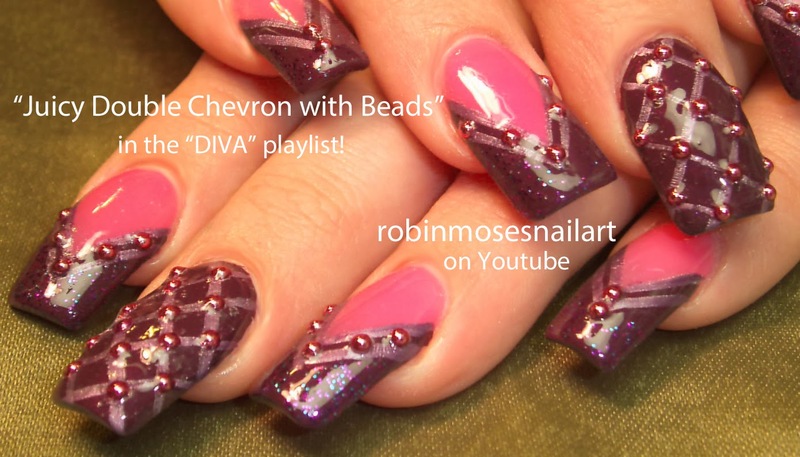 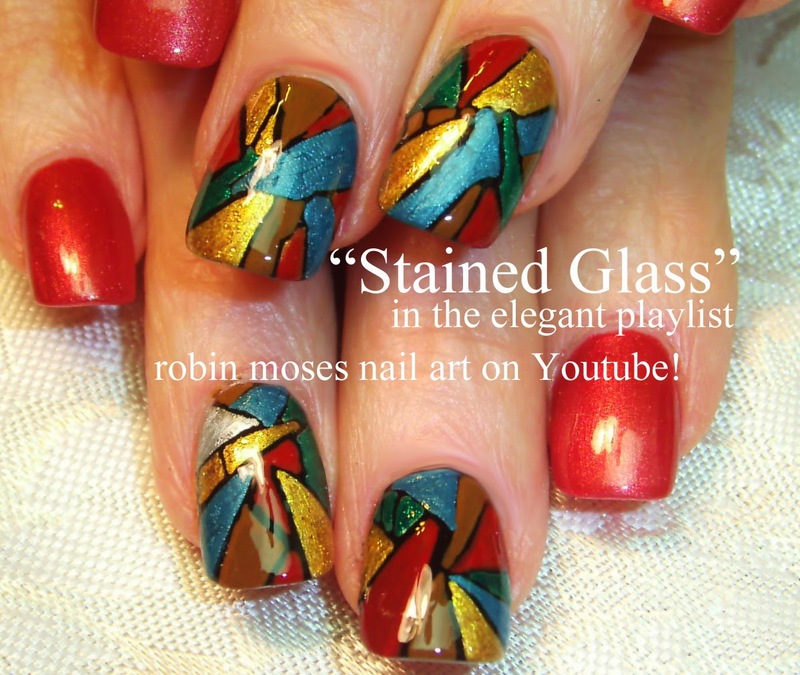 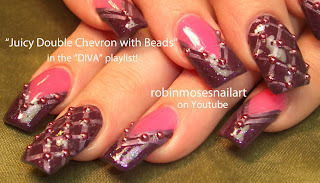 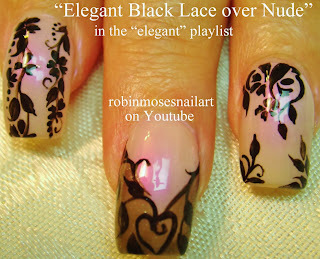 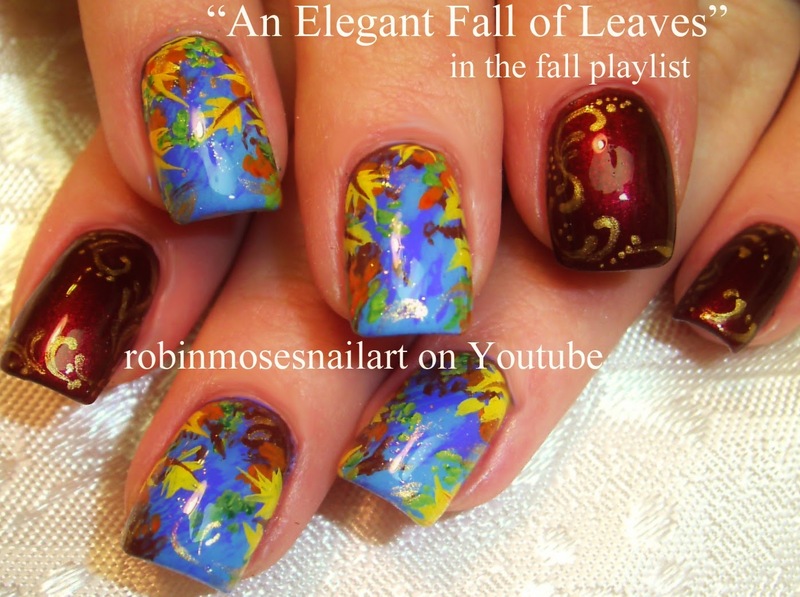 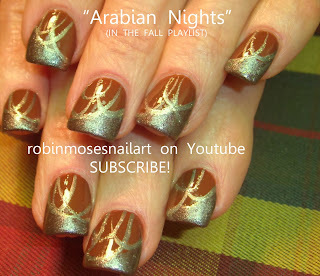 found in the diva playlist: abstract fall diva swag designs for long nails! soft fall animal print in soft browns and pinks. 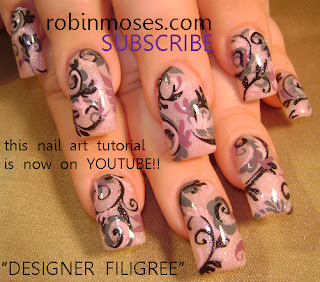 tutorials for each picture here. 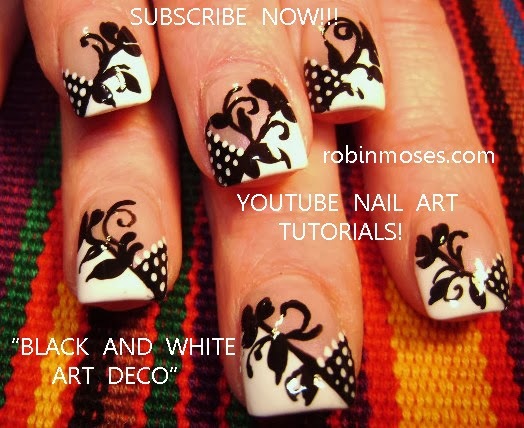 SUBSCRIBE AND LEARN!! 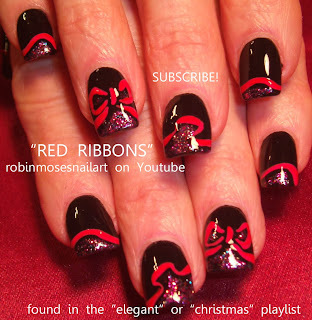 "elegant nail art" "christmas party nails" "ideas for christmas" "christmas nails" "party nails" "elegant nails" "nail art" "nails" "amazing nail art" "gorgeous nail" "artnails" "artnail"
holiday ribbons perfect for christmas parties and holiday nail art! 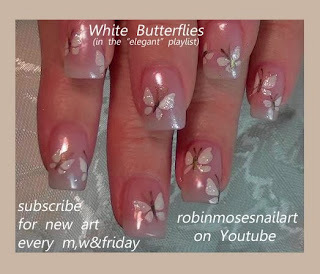 white butterfly nail art that is elegant and timeless for weddings, parties or any occasion where you want to be noticed. 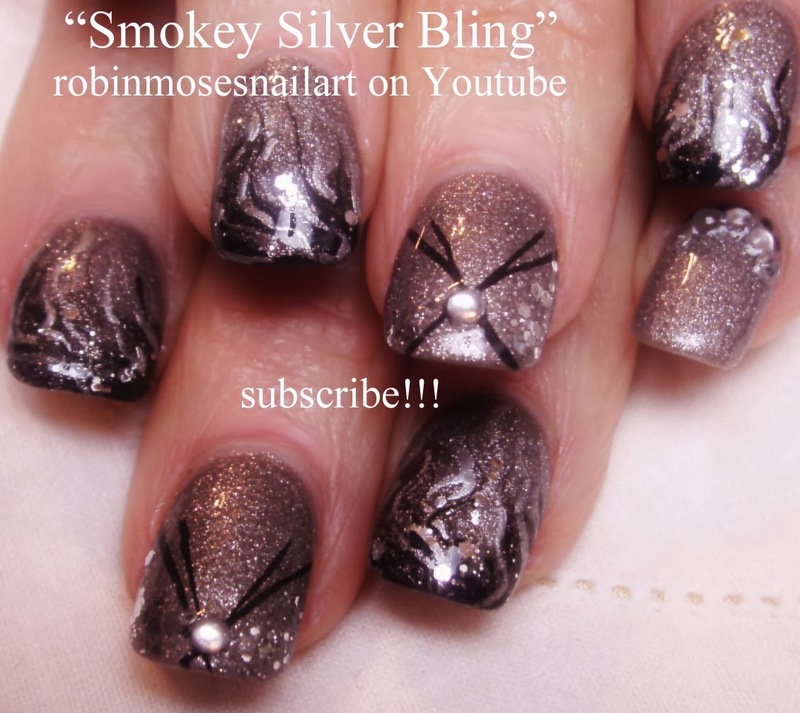 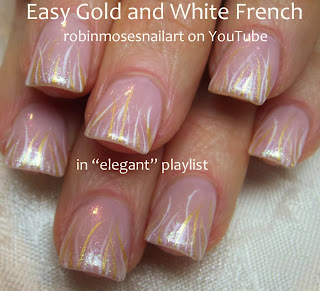 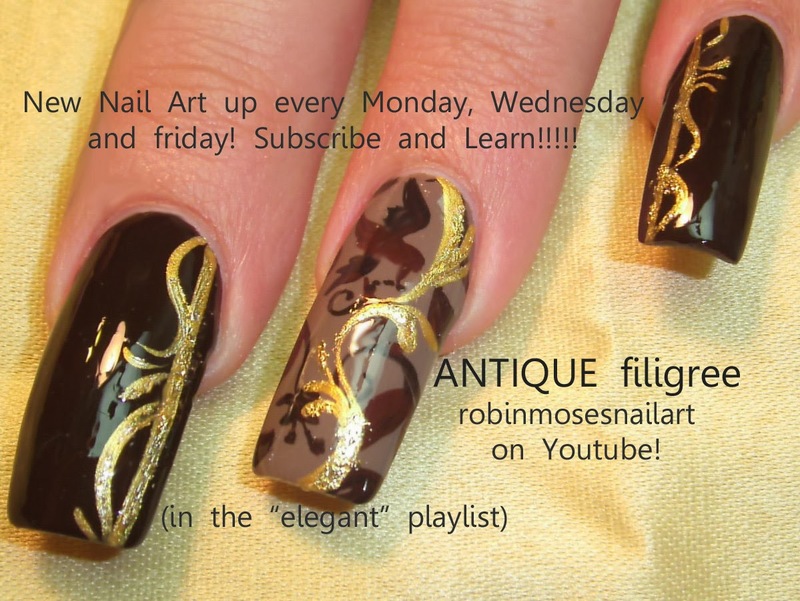 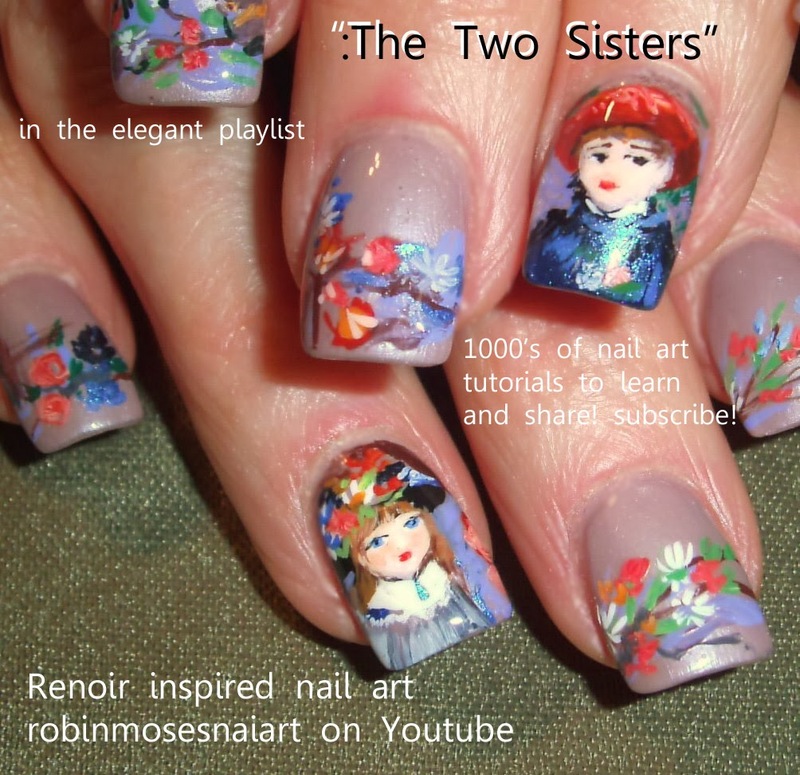 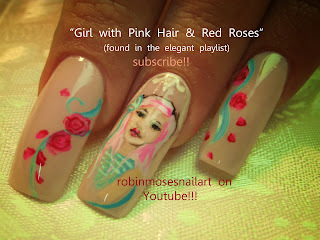 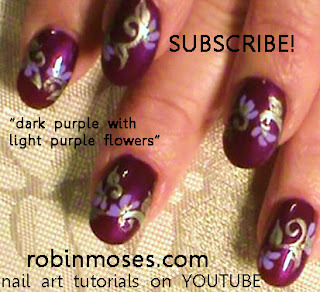 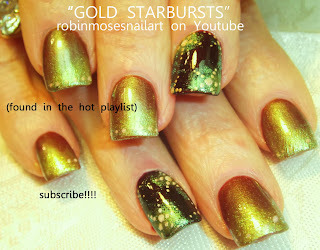 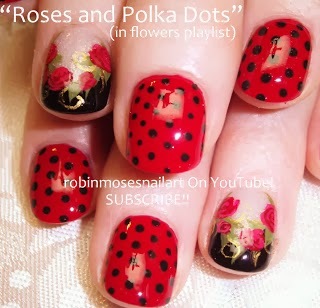 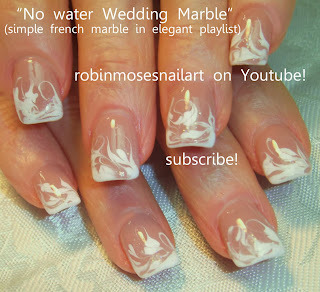 please subscribe to my youtube channel link here: http://www.youtube.com/user/robinmosesnailart new art up every Monday, Wednesday and Friday! 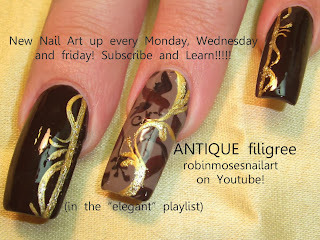 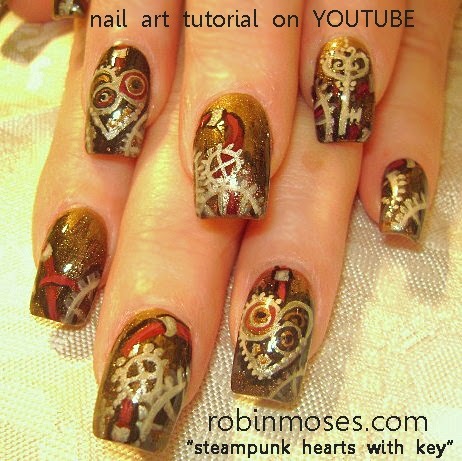 Please spread the word and join my army of nail artist who share and care about art!